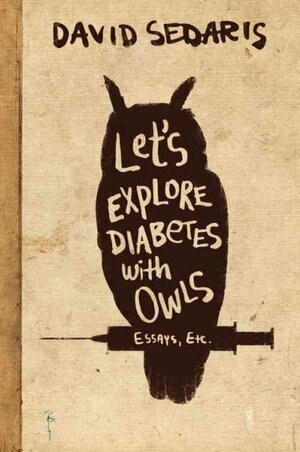 I recently finished another book by David Sedaris, Let’s Explore Diabetes with Owls. As with all of his books, this one was well worth the read. I found myself having deep feelings of gratitude for the author as I laughed, and was moved by, his prose. My favorite stories are the ones where he pokes fun at himself. I love the stories of his childhood. “Loggerheads” is wonderfully cringe-worthy and funny and sad. I love the stories of his early adulthood. For me, “Stand Still” covered the well-worn territory of parental expectations, masculinity vs. humanism, and adulthood vs. pettiness. I love the stories of his life now. His story “Rubbish” tackles the fine line between being a good human and the deep relationship with neuroses that such an endeavor might inspire. Though I’m on board with his politics, the overtly political pieces were funny, yes, but less engaging on all counts. Still, it’s funny. And smart. And absolutely worth reading. Framed differently, perhaps in first person and expertly woven with his own life, they might be even better. As I mentioned earlier, I had a strong feeling of gratitude as I read. I frequently hear stories of people “thanking” their favorite artists for their work. Sedaris is one whom I want to thank, and this sense of gratitude was with me throughout the entire book. This entry was posted in books, enlightenment, life, love, reading, writing and tagged david sedaris, gratitude on December 7, 2013 by sherewin. I love Sedaris! He just has such crazy family stories and a dry sense of humor. I was lucky enough to see him read/speak three times at UCLA and every time, I left with my eyes watery and stomach cramping from laughter. Lucky! I would *love* to see him at a reading! If he comes to your area, do it! It’s worth the ticket price several times over.